Get ready to drink, dance and have a good time. When you are at one of the best clubs in MA there will never be a dull moment. The fun won't stop so make sure you check them all out now! Hunk-O-Mania is one of the hottest club' for women to enjoy male strippers dancing on stage. For unlimited fun and for an ultimate girls' night out the club offers the most exciting male strip shows in MA. Girls that love to enjoy drinks, dance and adult fun should come here to get the best fun with the hottest hunks of the club. You may contact them for bachelor parties, girls' night out or for unlimited fun to celebrate your special events. Check out the webpage of the club for more details. 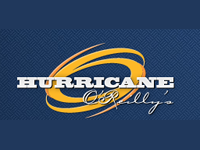 Hurricane allows you to enjoy the hottest night with their DJ music. They present exciting DJ music with the best DJs of Boston. The club is in-fact one of the hottest night clubs of MA. Above 6800 sq feet of space with the finest bars and private space makes the club truly an ideal venue to celebrate a wonderful night out. People that love fun or want to celebrate a wonderful weekend may go here for a rocking night. For more information about the club, browse the webpage of the club. 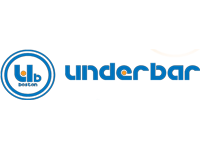 The club Underbar is one of the most popular night clubs in MA. The club presents the most exciting DJ music from the world's best DJs. From DJ Dimitri to Boris to Cevin Fisher they even have many other world famous DJs to perform at their club. The club offers a nice bar for drinks and music like Latin music for Friday, house music bliss for Saturday and more. To arrange a nice private party or to have fun at different events, the club is a perfect place for all. You can visit the webpage of the club to get detailed info about their DJ performers and available hours. Commonwealth Restaurant & Lounge carries one of the most gorgeous night clubs. They offer DJ music even a double take DJ and more. To celebrate a wonderful and exciting night with your favorite DJ music the club is a wonderful option for all. They even provide every kind of drink and offer parties, events and more for fun. People of MA that love fun or want to have an exciting night at a night club, this club is an amazing option for them. Drinking, dancing and the music create a wonderful place for fun. Guilt is famous because of their exciting DJ music. The club offers the best and hottest DJ music with rocking DJ performances. The club is even a great venue for private parties, events and more. For exciting DJ parties, dancing and fun the club has a huge space of 500 sq feet. 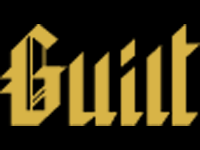 Dancing, drinking and for fun with amazing music, Guilt is really the best. To have an exciting night with Boston's best DJs the club will be the best choice for all. You may browse the webpage of the club for any information about their present and up-coming parties or events. 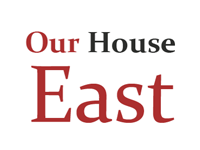 Our House East is among the finest clubs of MA. The club allows you to enjoy sports games on a big screen TV, live music and more. The club even offers a casual atmosphere for their guests where they can enjoy songs, dancing, drinks and fun. Karaoke is one of their best musical entertainments; they even offer DJ music on Thursday and Friday nights from 10:00 pm to 2:00 am. Private parties, tasty foods, drinks and entertainment make the club filled with lots of fun. You may check out the webpage of the club for any information needed. 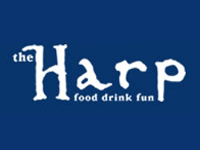 The Harp is one of Boston's oldest night clubs. For entertainment the club is a favorite option for the people of MA. Between the fun, entertainment, and food, the club has been providing their best service for over 20 years. They present exciting DJ music and even invite local bands to perform. Their DJ night is a special for people that love to dance, have fun and drink the whole night away. The DJ night of the club generally starts at 9:00 pm. You may check out the webpage of the club or contact them for entry information. 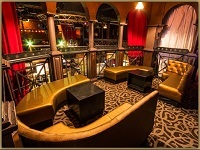 The club can also arrange private parties, events and more. The X Room is a premier night club of MA that presents male strippers for amusement. For an exciting and entertaining night with the hottest male strippers, this club is the best in MA. They offer parties, events and more, all of their events are 21 plus. The club stays open Monday to Wednesday from 7:00 pm to 2:00 am and Thursday and Saturday from 2:00 pm to 2:00 am. The club offers exciting fun for all of their guests. You may check out the webpage of the club for more information about the club and their strippers. The Estate is among the biggest clubs of MA. The club contains bars, a stone fire place, dance floor, VIP tables and more. To celebrate an awesome night with DJ music, dancing and fun the club is even a better option for the people of MA. The main room of the club has the capacity of containing 700 guests and there are several other rooms for VIP booking, private parties and more. To celebrate a private event, for VIP parties, birthday parties even for graduation parties you may go here or contact the club authority. You may also check out the webpage of the club for any information. 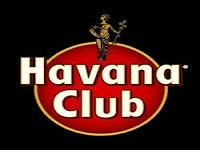 To celebrate a wonderful salsa night, Havana Club will be the best choice for people of MA. The club presents salsa nights every Friday and Saturday, Latin Thursday and more. To celebrate a party with friends, meet with coolest salsa people and to have fun with salsa dancing, the club is truly awesome. Their Friday night salsa dance party is even the biggest salsa dance party of Boston. They charge $12 for their 10:00 pm to 2:00 am salsa dance party. If you would love to enjoy a different entertaining night and want to have fun with salsa dancing you should visit this club. You may look at their webpage for the club schedule and any other information.